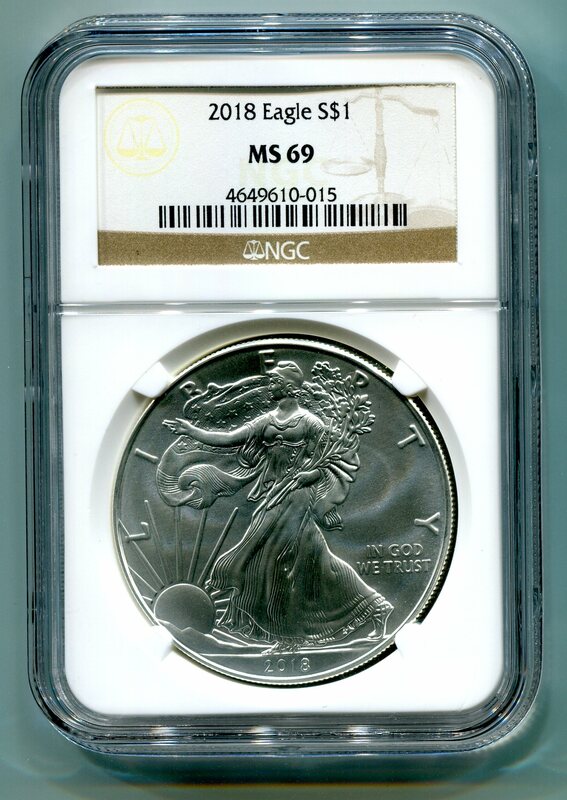 2018 AMERICAN SILVER EAGLE NGC MS 69 CLASSIC BROWN LABEL, AS SHOWN IN PICTURE. NGC SERIAL NUMBER WILL VARY. 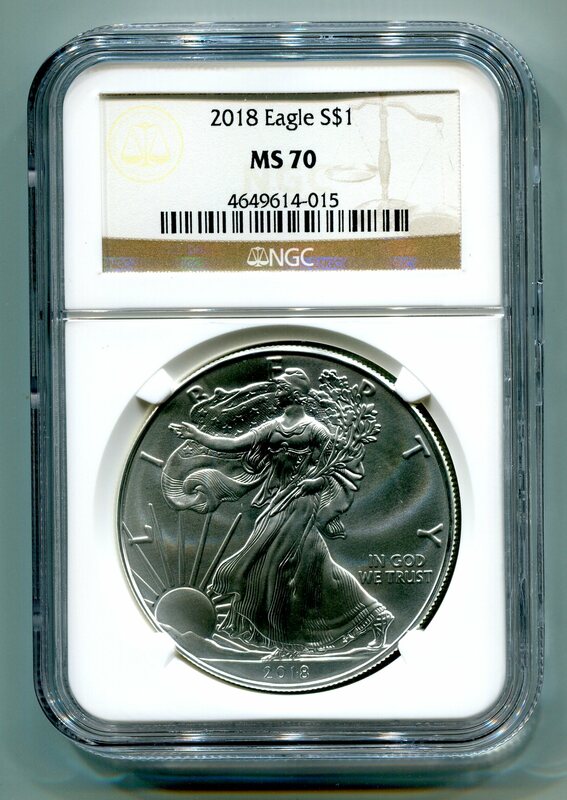 2018 AMERICAN SILVER EAGLE NGC MS 70 CLASSIC BROWN LABEL, AS SHOWN IN PICTURE. 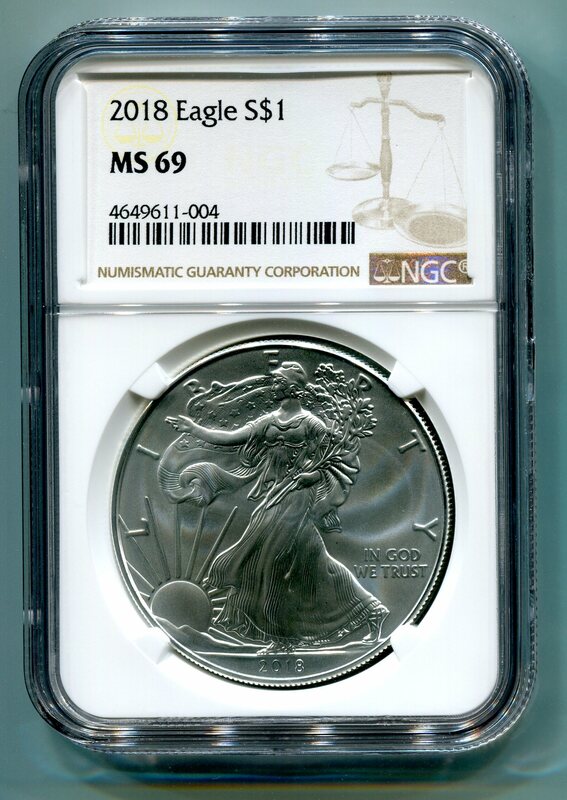 2018 AMERICAN SILVER EAGLE NGC MS 69 NEW BROWN LABEL, AS SHOWN IN PICTURE. 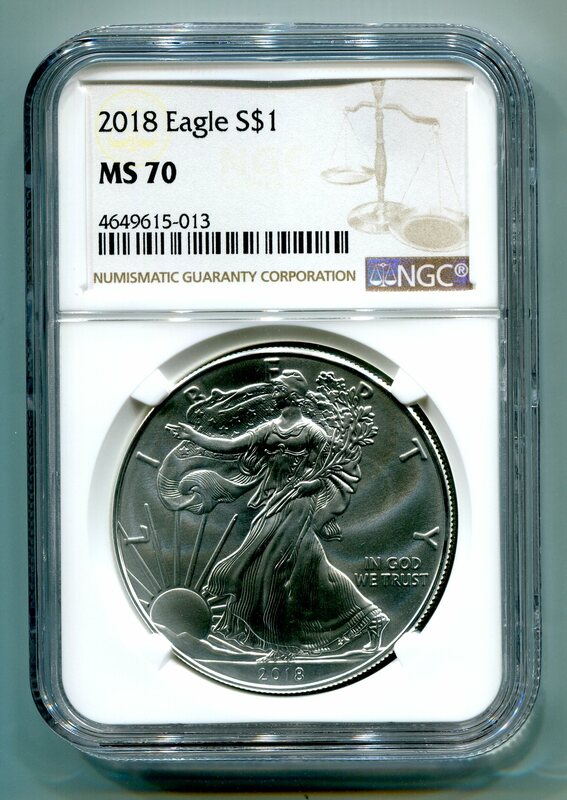 2018 AMERICAN SILVER EAGLE NGC MS 70 NEW BROWN LABEL, AS SHOWN IN PICTURE. FREE SHIPPING* To USA addresses. See full details on Frequently Ask Questions and Policy page. COPYRIGHT©2009-2019 BOB'S COINS ALL RIGHTS RESERVED. UNAUTHORIZED DUPLICATION IS EXPRESSLY PROHIBITED. 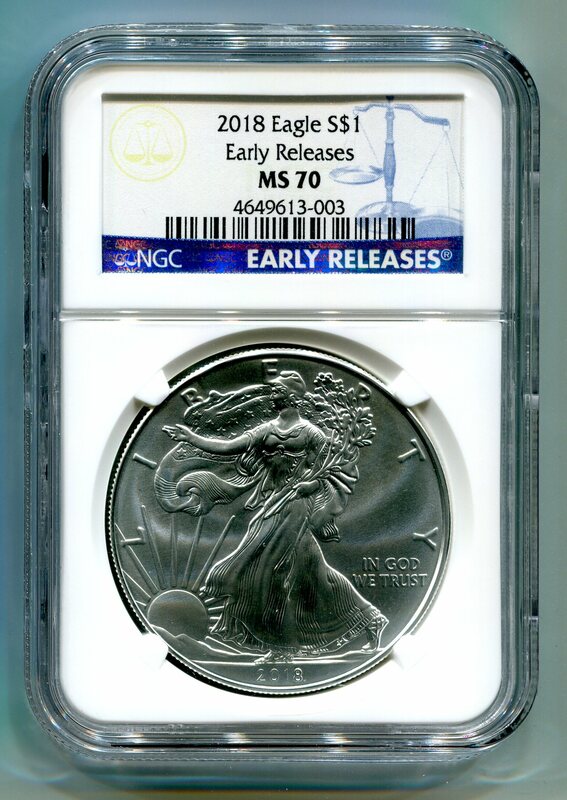 2018 AMERICAN SILVER EAGLE NGC MS 69 CLASSIC EARLY RELEASES BLUE LABEL, AS SHOWN. 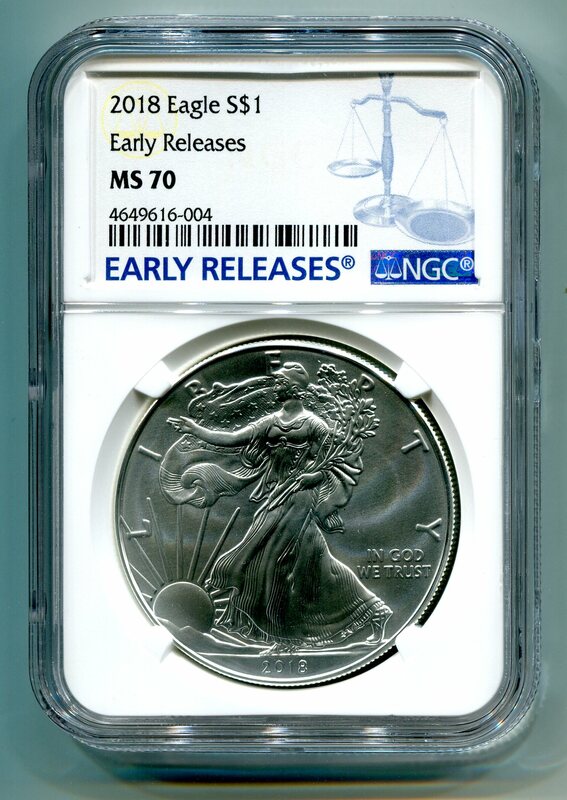 2018 AMERICAN SILVER EAGLE NGC MS 70 CLASSIC EARLY RELEASES BLUE LABEL, AS SHOWN. 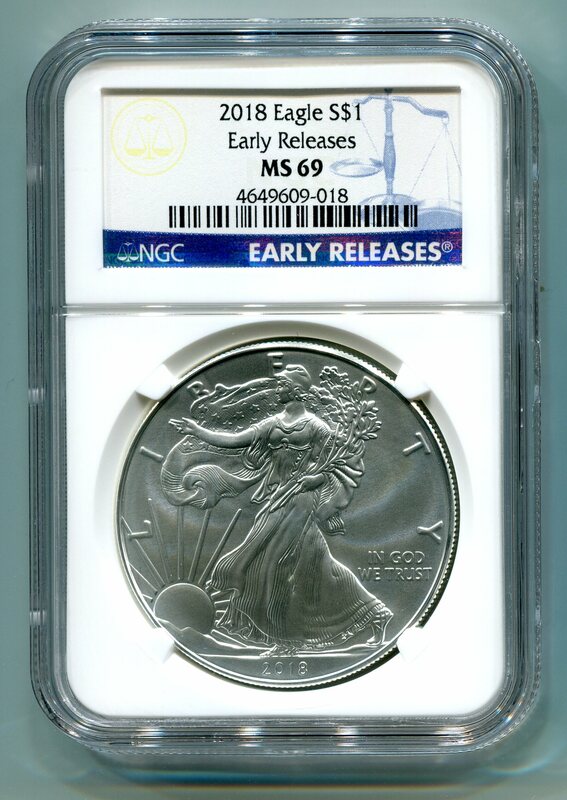 2018 AMERICAN SILVER EAGLE NGC MS 69 NEW EARLY RELEASES BLUE LABEL, AS SHOWN. 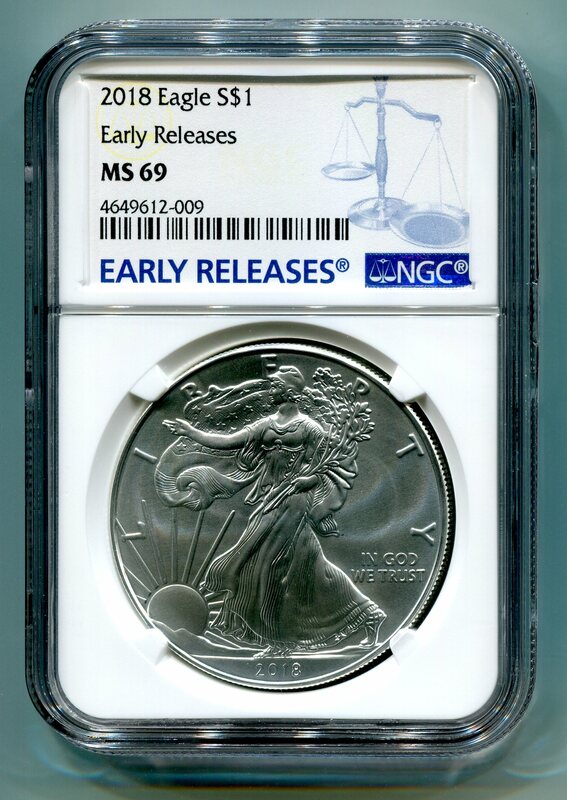 2018 AMERICAN SILVER EAGLE NGC MS 70 NEW EARLY RELEASES BLUE LABEL, AS SHOWN.